I saved $291 in fuel, 6 pit stops at questionable country gas stations, 2728 miles on my odometer, and 40 hours of children screaming in the backseat. I’ve always wanted to visit Washington. I probably would have preferred sipping a cup of medium roast in a hipster coffee house to three weeks of constant rain… but I’ll take what I can get. Whether the recent rain was a result of the untimely passing of Prince, May compensating because April was snoozing on the whole April Showers, or a storm track hovering over the Mid-Atlantic… we may never know. One thing is for certain: We’ve had a record number of rainy days this month. I spent much of the first week sulking. 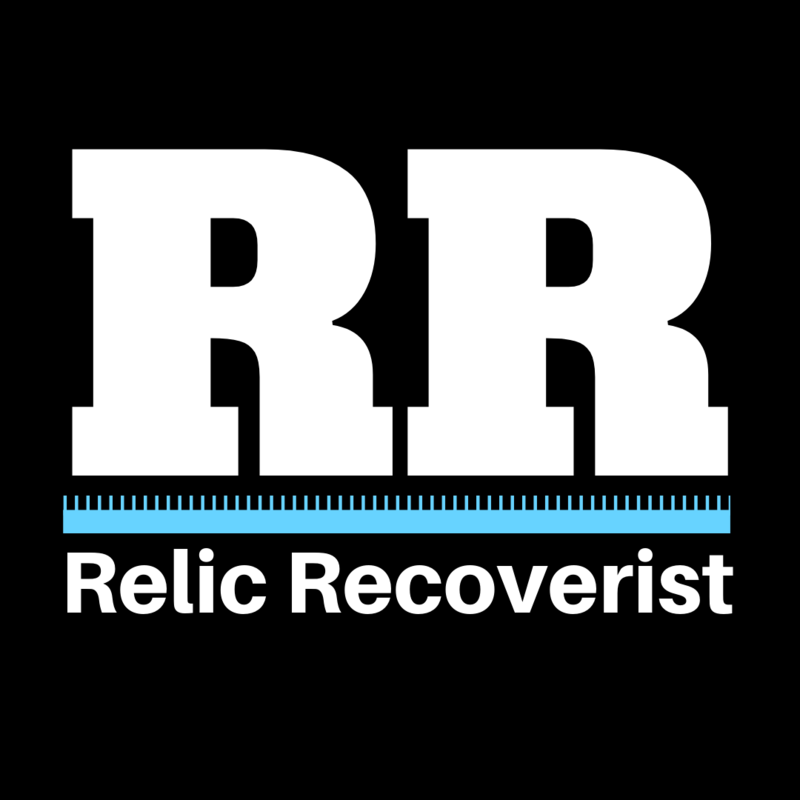 By the second week, I did what any dedicated–er, borderline obsessed–metal detecting hobbyist would do… I pulled out my waterproof detector. On my way out the door, I idled long enough for a polite exchange. I shared my plans for the day and one of the woman suggested I detect a general store on the edge of town. According to her, a fire had recently gutted the building and the owner might entertain my request to detect the property. I thanked my helpful friends and decided to check out the old store. I needed a great location to justify the muddy boots, sopping clothes, and extreme likelihood of catching pneumonia when all was said and done. After retrieving my metal detector from the car, I started swinging around the front of the brick store–which had long-since been converted into apartments. I attempted to recover my first solid hit, but my shovel struck gravel as I attempted to pop the plug. I scraped around a bit, but this became a reoccurring trend across the front yard. Slightly disappointed… but not entirely discouraged, I retreated to the side yard. Another dark cloud swelled overhead and dropped more rain. Droplets glistened on the tips of my hair, wetting my face every time I knelt down to dig. I pulled out a cable connector, some foil, a couple nails, and a washer. As a last resort, I circled the back of the property. By this time, the digger rationale had kicked in. This is the same digger rationale that has us mumbling, “just one more hole, just one more hole.” Well, on about my third just one more hole, I glimpsed some green oxidation at the bottom of my plug. I resisted the urge to simply pluck the treasure from its earthy tomb and reached for my camera instead. As I recorded, I reached down and retrieved the object. I knew almost immediately that I had a button. Trying to wipe a button clean with muddy fingers is counter-productive, but I did my best. I wiped away the dirt and realized what I had. 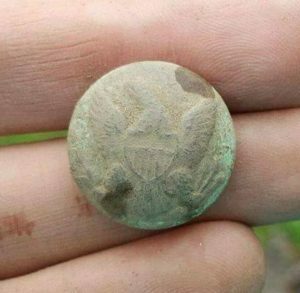 This was my first ever eagle button! I had found a general service button from the Civil War. Had I not been drenched and covered in mud, I may have performed a little jig or ran around the yard in circles. I’ll admit, I’ve become snobby over the age of my permissions. Had I not known a bit about architecture, I might have hopped back in my car and driven away. This discovery taught me not to be so picky. We have no way of knowing who passed over this land two-hundred years ago. 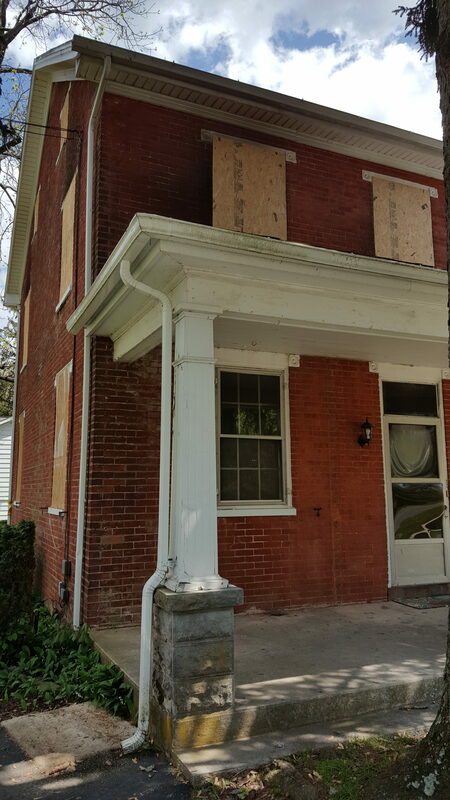 A new house could be built in place of an old house. A housing development could be built on the site of a forgotten camp from the Civil War. A date on a deed could have been recorded wrong a hundred years ago. Nice example of a Scovilles MF’G Co. Waterbury general service button. Congrats! 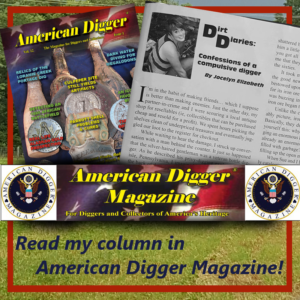 I have got to get back into detecting and reading the American Digger. I used to read all the Western & Eastern Treasure mags. Treasure mag was another. Keep up the great work here miss J.